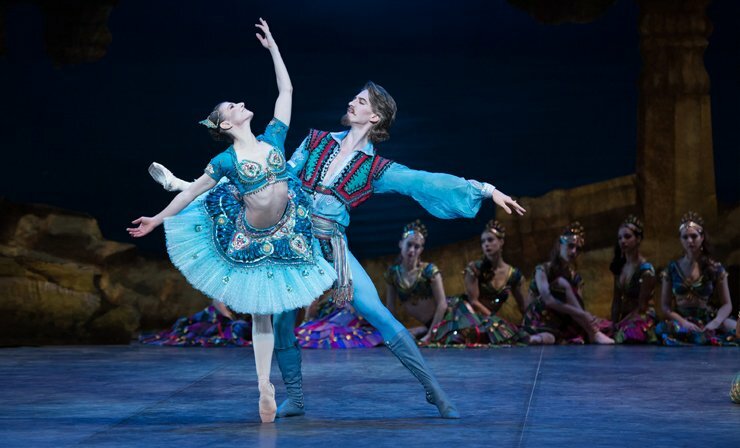 Le Corsaire is a traditional full-length ballet that is light on storytelling, allowing plenty of scope for a multitude of featured dances, and set in an exotic locale, giving the opportunity for lavish colourful scenery and costumes. English National Ballet’s new production easily achieves the full potential of the piece, providing a thoroughly diverting piece of entertainment that is a pleasure to sit back and enjoy. Any production at London’s Coliseum competes with the sheer grandeur of the auditorium itself. Angels, emperors and lion-drawn chariots abound, all preserved at a pristine level of polish. 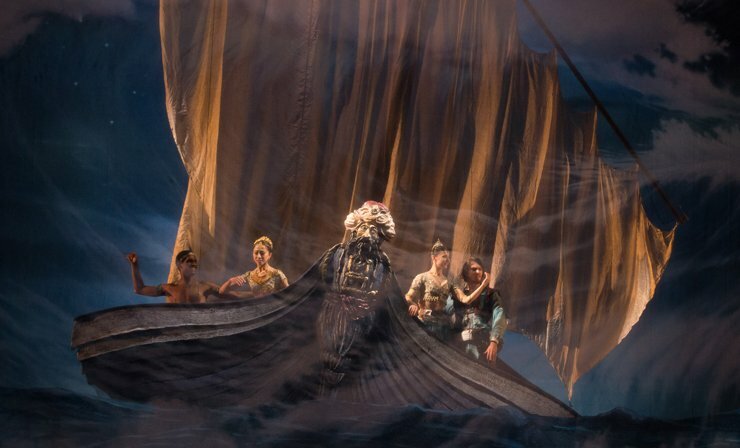 Le Corsaire uses an ornately painted show-curtain that sets the tone with a romantic scene with a distinctly Middle Eastern theme. The cloth proclaims that the ballet is “Based on the Poem by Lord Byron,” hinting at the romantic but uncomplicated story to come. 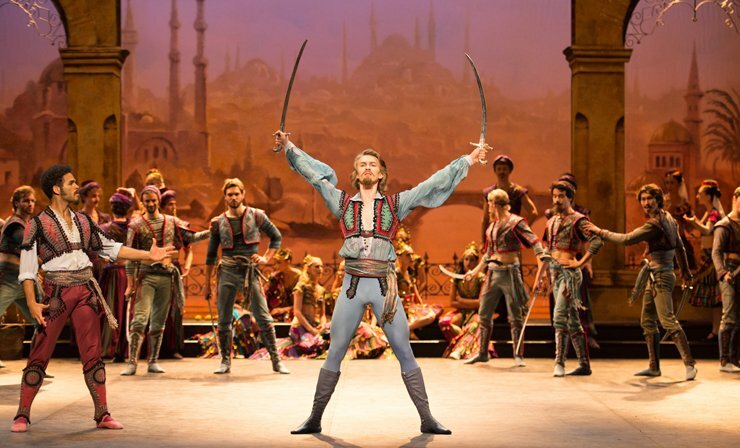 In an unusual precedent, the music for Le Corsaire is not by the one composer but rather a combination of nine composers. Careful editing has allowed the work of the composers, including Adam and Delibes, to blend satisfactorily, but the sort of lyrical through-line that is a feature of most full-length ballets is certainly missing. Nonetheless, The Orchestra of English National Ballet, under the baton of Tom Seligman, sounds wonderfully lush and festive. After a glimpse of the pirate ship sailing on the high seas, we find ourselves in the bazaar of a grand port. Lankendem has a bevy of maidens for trade, including the beautiful Medora. A portly Pasha comes by to inspect the merchandise, but the key action, in between the almost nonstop dances, focuses on Pirate Conrad’s desire to reunite with his true love Medora. After many a joyous dance, featuring a strong emphasis on the male corps, Conrad is finally able to sneak off with Medora. Act two sees the lovers, and entourage, arrive in a grand, golden pirate cave, which looks out over a serene moonlit bay. 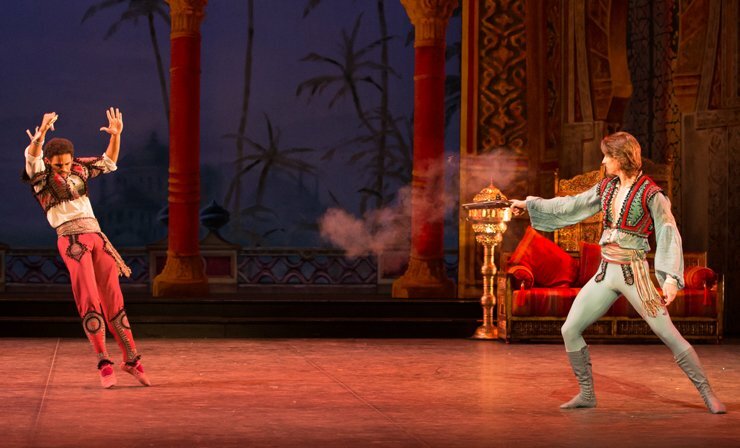 Celebrating their escape, Medora (Lauretta Summerscales), Conrad (Arionel Vargas), and his devoted slave Ali (Zdenek Konvalina) engage in a series of increasingly thrilling solos in a pas d’action of dances that follow each other in increasingly rapid succession. This is a virtuosic, highly athletic sequence, which is greatly appreciated by the crowd. Summerscales projects a beaming joy as she dances, skillfully able to make her strength just look like delicate lightness. 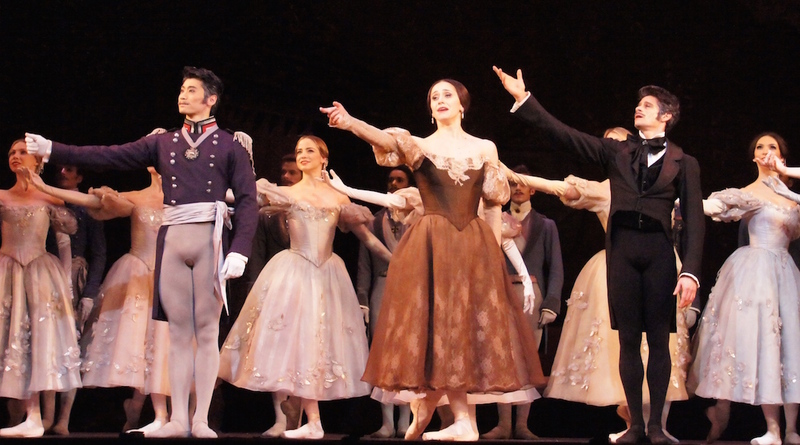 Vargas has a commanding presence, as strong an actor as he is a dancer. He maintains a fine quality of style that brings an exquisite polish to his strong dancing. Konvalina is a stunningly masculine dancer, using his physicality as a significant part of his performance. 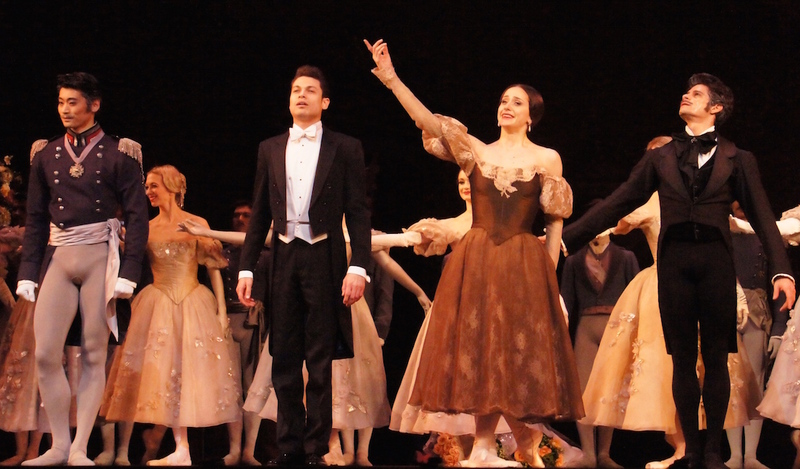 Changed into more comfortable outfits, Medora and Conrad express their love in a sweeping pas de deux. Their happiness, however, is to be short-lived, as Conrad is soon knocked out by a poisoned rose (!!) and Lankendem takes Medora back into his nefarious clutches. Act three sees a surprising number of full-scale scenes. 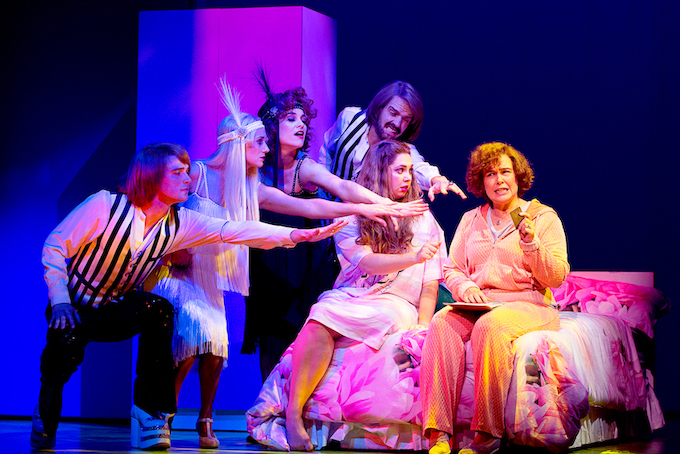 Bob Ringwood’s design, for both sets and costumes, is utterly lavish, and features an infinite amount of sparkle and lustre. 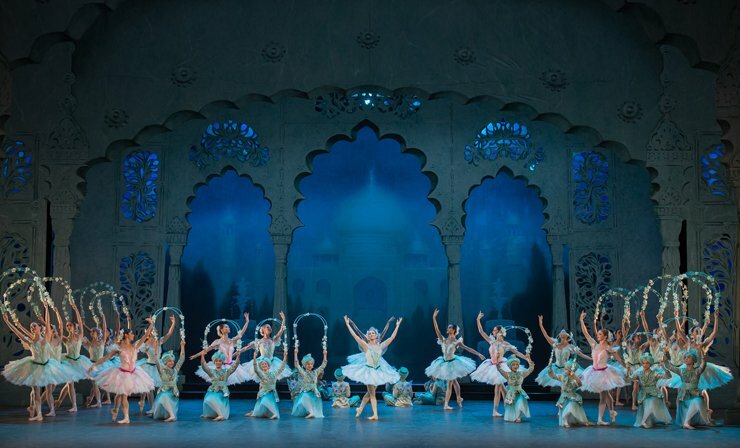 As the Pasha dreams of his harem, we see the full female corps in crisp white tutus trimmed with the palest mint green. Pasha’s slave girl Gulnare and three others are the “roses” in this garden scene, their tutus trimmed in pale pink. Happily, Conrad rescues Medora, and Ali frees Gulnare. Unhappily, the quartet are in a shipwreck during a vicious storm. Happily, Conrad and Medora survive. Unhappily, we never learn the fate of Ali and Gulnare. 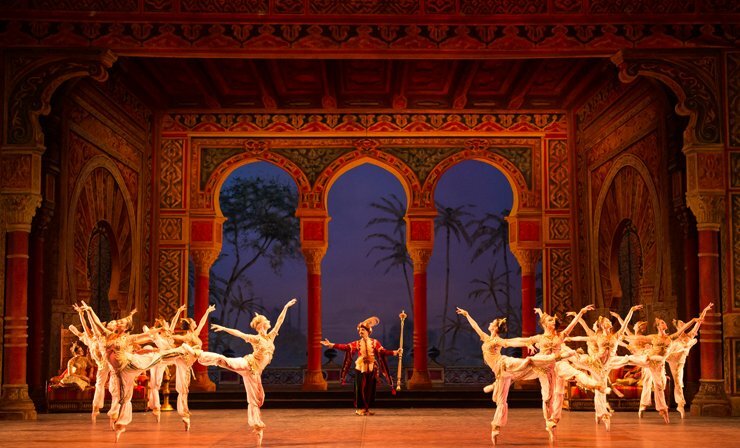 Le Corsaire was reviewed at 2.30pm on 16 January 2014 at Coliseum, London, where it plays until 19 January 2014.